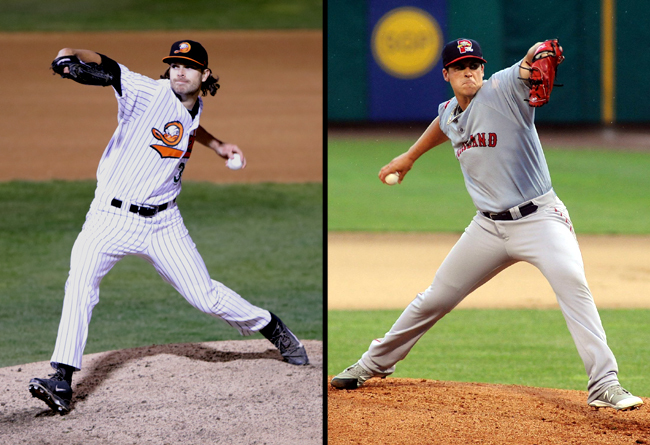 (Central Islip, N.Y., Feb. 23, 2017) – The three-time Atlantic League champion Long Island Ducks today announced the signings of left-handed pitcher Jack Snodgrass and right-handed pitcher Keith Couch. Snodgrass enters his second season with the Ducks and seventh in professional baseball, while Couch begins his first season with Long Island and eighth in professional baseball. Snodgrass returns to Long Island after making 14 starts with the Ducks in 2016. He compiled a 6-6 record with a 3.79 ERA and 85 strikeouts in 78 and one-third innings of work. 10 of his 14 outings were quality starts, including a 12-strikeout performance on May 11 against Somerset, the single game season-high for a Ducks pitcher. The Kentucky native’s contract was purchased by the Texas Rangers organization on July 8, and he went on to post a 3-2 record with a 4.76 ERA and 39 strikeouts in 10 games (eight starts) combined between Double-A Frisco and Triple-A Round Rock. The 29-year-old spent the first five seasons of his career in the San Francisco Giants organization, reaching as high as Triple-A Sacramento in 2015. In 2013, he was named a Mid-Season and Post-Season All-Star in the Eastern League after going 12-4 with a 3.70 ERA in 25 starts for Double-A Richmond. The Austin Peay State alum also earned Mid-Season All-Star honors in 2014 with Richmond and 2012 with Advanced-A San Jose. Snodgrass was originally drafted by the Giants in the 27th round of the 2011 amateur draft. Couch played the first seven seasons of his career with the Boston Red Sox organization, advancing to the Triple-A level on three different occasions (2013, ‘15, ‘16). He split time in 2016 with Double-A Portland and Triple-A Pawtucket, combining for a 10-8 record, a 3.96 ERA and three complete games in 22 games (20 starts). The Elmont native earned Eastern League Pitcher of the Week honors on July 10 after tossing back-to-back complete games in which he yielded just one run and no walks while striking out 13 in 18 innings. The 27-year-old posted back-to-back 11-win seasons with Advanced-A Salem in 2012 and Double-A Portland in 2013. During the 2011 season, he led Single-A Greenville and ranked second among Red Sox farmhands with 123 strikeouts, a career-high. Prior to his pro career, Couch pitched for Holy Trinity Diocesan High School in Hicksville and Adelphi University in Garden City. He was named Team MVP in 2010 and accrued an 18-7 record with a 2.07 ERA and 10 complete games in three collegiate seasons. Couch was originally drafted by the Red Sox in the 13th round of the 2010 amateur draft.